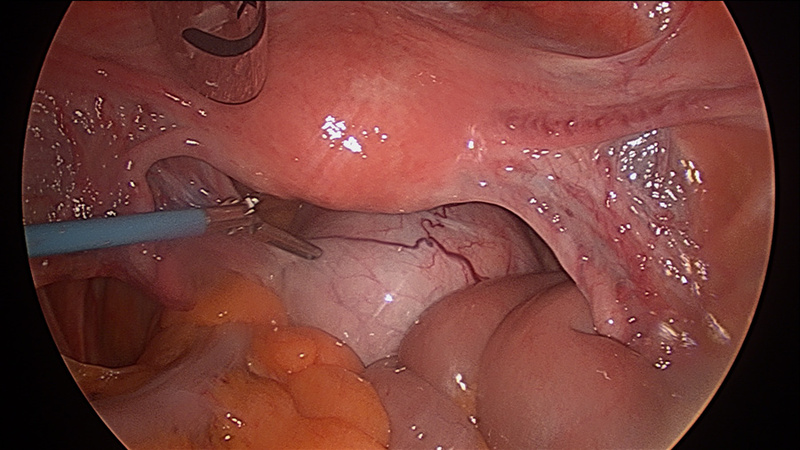 Laparoscopic cystectomy is the preferred approach to managing benign ovarian cysts in adolescents and adults. Any ovarian lesion suspicious for malignancy is a contraindication for laparoscopy. Hence all ovarian cysts are evaluated with risk malignancy index( RMI score). With this approach we aim to preserve the ovarian cortex while removing the cyst. This reduces the risks of reducing ovarian reserve. The content of the cyst is removed with minimal or no spillage using specially designed retrieval bags. Patients are discharged home same day.